Beginning about 100 miles south of Allagash Village the St. John River flows north through Maine’s most remote woodlands. As the Baker branch grows from a modest stream into a full fledged river due to its numerous tributaries, paddlers see the character of the river change. As the stream transforms it creates many challenging sections certain to test all paddlers. Traveling downstream is like paddling through a living museum, paddlers can observe old trappers cabins long forgotten or camp at the remnants of major farming homesteads that were once the backbone of this region. Coupled with the abundant wildlife sightings and late spring fishing the St. John is a canoe trip you will talk about for many years. Due to the nature of the river, no dams or lakes to adequately supply water flow after spring snow melt the best paddling conditions occur throughout the month of May but are unreliable after that. With many access points you can choose a trip length and river section that fits your paddling style and we are happy to discuss the many options you have. Our Transportation Service means that you drive to our lodge in the town of Allagash, where the Allagash and St. John Rivers meet. 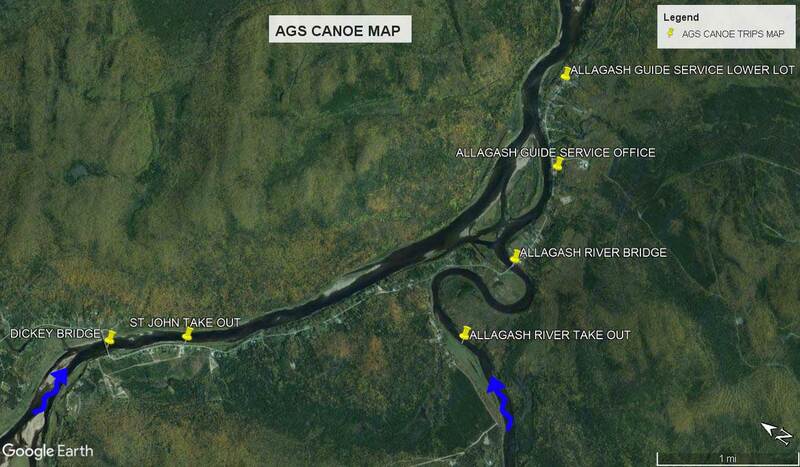 We will load your gear into our vehicle and drive you to the desired starting point on the river to start your paddle back to Allagash. You have the choice to camp on our property, rent a cabin the night before your trip or drive in the day you arrive. Our Shuttle Service means that you drive to your desired starting point with your vehicle and we drive it to your take out destination while you are paddling on the river. In most cases we ask that you to mail a key to us prior to the trip along with a description of the vehicle and deposit. Prices are based per vehicle with a discount for multiple vehicles. **Prices for transportation include ONE to FOUR paddlers, additional paddlers after four up to eight are $20 per paddler. For groups of 9 or more, you are charged an additional transportation rate to your destination, as we use two vehicles to bring your group in. Please ask if you have any questions. Cabin Rental – cabins are available for rent in Allagash Village for the night prior to your trip or the night you get off the river, the cost is $80.00 per night for 2 people, add $20.00 for each additional person staying in same cabin. North Maine Woods (NMW) charges gate and nightly camping fees. To view the St. John and North Maine Woods fee’s please visit this link http://www.northmainewoods.org/information/fees.html or call headquarters in Ashland at 207-435-6213. 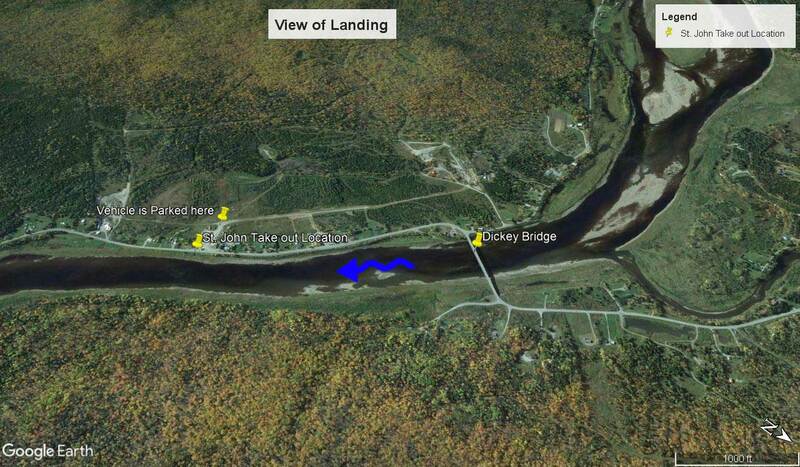 The landing/takeout location is located on the south (right) side of the river, approximately 1/2 mile downstream from Dickey Bridge. This is the site of an old store that is no longer in business. Your vehicle will be parked across the public road in a parking area.